John Hacker is an A.C.E. Certified Personal Trainer, owner of www.coachhacker.com, an Iphone Video Fitness App Company, and The Director of the Community Fitness Center practicing at Hidden Springs Wellness Center in Ashland. I provide specific fitness training programs for people of all ages so that they can accomplish their individual health and wellness oriented goals. What I love is the fact that results are one hundred percent predictable and guaranteed. For instance, my client Mike was able to drop 70 pounds of what I like to call “stored energy”, (body fat), while gaining muscle mass in about five months by strictly following his fitness program and modifying his diet. Word-of-mouth referrals mostly. Others have been using Hidden Springs services and choose me when they see me here training others. Still others find me through my website, www.coachhacker.com or when they purchase one or more of my 15 video fitness apps for their Iphone or Ipad. Can you tell us something about your personal background? this as my true birth as a human being because it allowed me to totally change my priorities. Before then I had been working 60 to 80 hours a week in a field I was very good at but hated. My accident was no accident! It was a fantastic gift!. How did you get started with Personal Training? Shortly after my accident. I hooked up with a cutting edge pain management clinic and learned that the human body is very resilient and can overcome just about any trauma. After what I went through and the miracle of healing myself, I wanted to help others transform their lives too. Personal training was the obvious career for that! Why do most people come to you for Personal Training? Everyone wants to feel good, that’s why most people come. With the same techniques I used to completely recover and become even stronger and healthier than before I can help catapult my clients into another dimension of incredible happiness and incredible health. I love people. I love engaging with people about the most important things in life, like being connected to the universal energy that surrounds us all. I truly believe that all human misery stems from withdrawing from that energy. Our natural state is extreme health and wellness and I am extremely can help others achieve that wellness. First, get started. Then, stay committed. We are running a three-month special here at the Hidden Springs Fitness Center so it’s a good time to make the best investment you can ever make, in your health and future wellness. I love competing in running races and triathlons. My wife Becky and I just completed the Siskyou Outback Run (SOB). I did the short ten miler while she competed in the 31 mile race. Do you have any other highlights in your life? My wife Becky, who is the most wonderful, caring, and humble person I have ever met. I remember picking her up at her job a few days after she won the Sunriver Marathon. I mentioned her victory to her work mates was and they said, “What, Becky runs?” It floored me. I have trained hundreds of elite athletes over the last 20 years but have never met anyone as humble and as talented as my wife. And Hidden Springs, working here is a highlight because of the great facility and the practitioners here. We are all on the same wellness wavelength! And I love teaching my functional training class that can help you jump start your fitness goals by destablizing the body in a safe way while providing resistance to several large and small muscle groups. You get very strong very fast, you quickly recover from injuries, you lose weight, maintain bone mass, increase lean skeletal mass, strengthen your heart, increase your balance, and react faster. All top athletes train this way. What’s something about you that your clients don’t know and might surprise them? Well, I am fascinated by our legal system. Prior to my accident and sustaining a serious skull fracture in 1994, I was a Criminal Defense Paralegal specializing in felony Drug and DUI cases. We helped many of our clients realize they were alcoholics and some were able to turn their lives around. Helping people create a better life, that’s the same thing we are doing at Hidden Springs and why I love being here! John is offering a three-locmonth fitness special. Call Hidden Springs Wellness Center at 541.488.8858 to schedule an appointment. 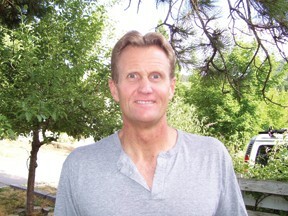 Learn more about John Hacker and his approach to wellness at www.coachhacker.com.